We have a great party for you the night before Halloween. I hope you are ready for tomorrows Trick N' Treat night. We also some some sad news to share with you that you can read a little later in the post. 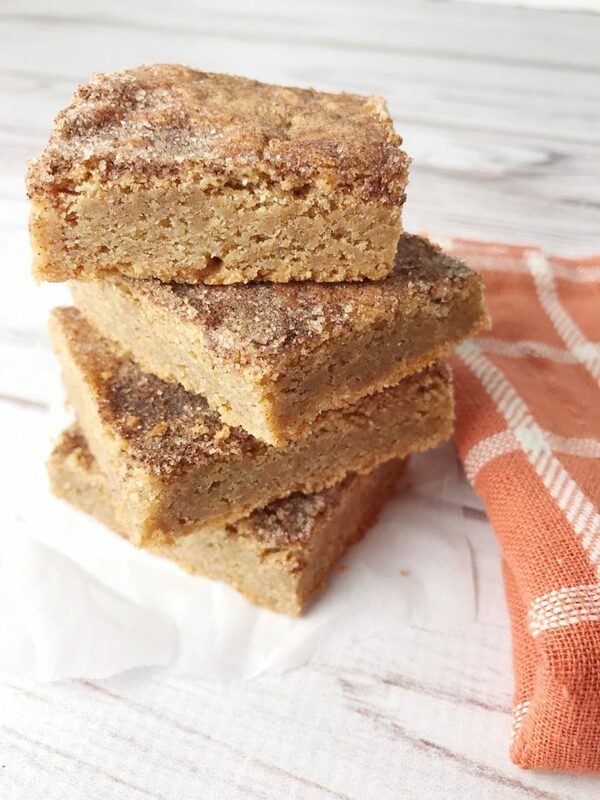 Today, we want to give a big shout-out to say "thanks" to our faithful team member, Marilyn Lesniak, of the popular food blog "Marilyn's Treats." Welcome to You're The Star - Garden Feature Week! Halloween is only a few days away and I am so excited. We have so much fun on our street on Halloween. We all get together and decorate our golf carts and go trick'n treating as a group (around 15-20 golf carts in our parade). Since we don't have young kids, we take our doxies. They love it and usually get a treat at some of the houses. 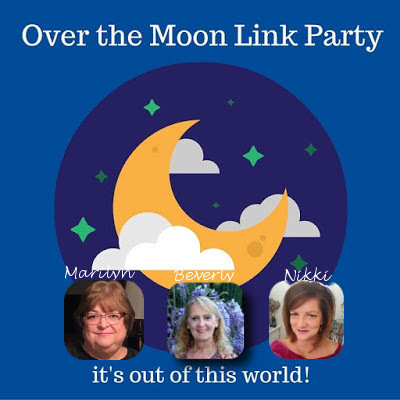 Welcome to Over The Moon Link Party! Our street kicked off Halloween week with our annual Halloween pumpkin carving party. We all dress up and people carve pumpkins and we give prizes for the best pumpkins. It is a fun evening when we all get together and have fun and enjoy great food. Everyone brings something, either appertizer or dessert and your beverage of choice. Hope you have a great up coming week and I am so looking forward to seeing all of your posts. 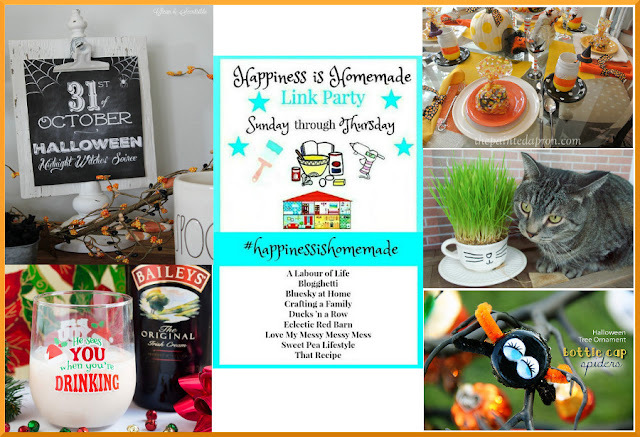 Welcome to Happiness Is Homemade Halloween Week! 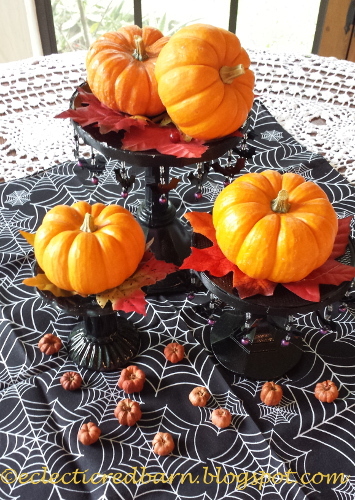 With Halloween only a few days away, Linda has provided some great Halloween ideas for you if you still need some inspiration or pin them for next year. I took my daughter home yesterday, she had been visiting for about a week. She is north of Orlando which is about 4 hours away. Not a bad trip unless you forget your computer at her house. I am borrowing my neighbors computer to get this party done (very slow machine). So it will be over a week before I can get it so be patient with me while I try to figure out how to stay in touch. Happy Monday and Welcome to You're The Star - Home Feature Week! I am so glad you stopped by. I am looking forward to seeing what new posts you share. While you are here check out some other posts and share the love. WELCOME to the October "You're the Star" Blog Hop! 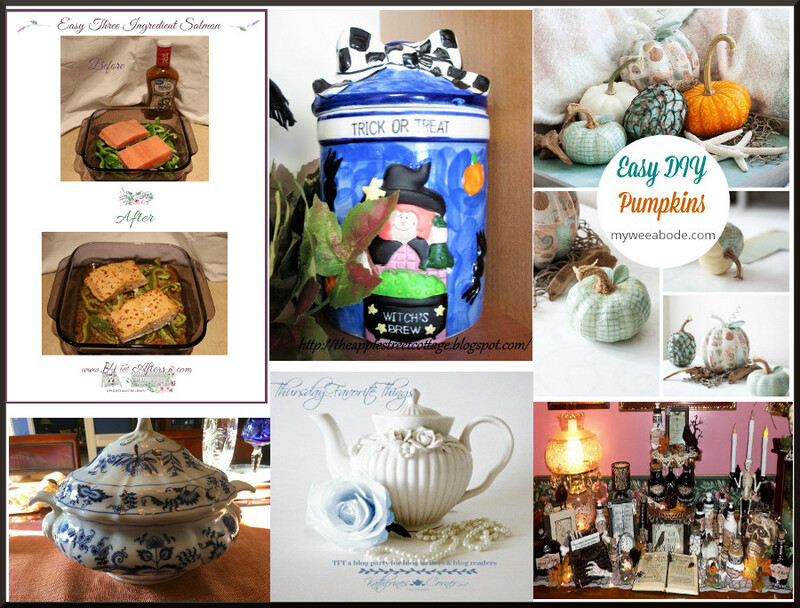 WELCOME to HOME feature week of the October "You're the STAR" blog hop! Hope your Sunday is going well. Can you believe that Halloween will be here soon. I was looking through all of the posts and I am always so amazed at how exciting they are. I could not stop opening posts to see them better. I wish I had the time to make many of the posts I looked at. 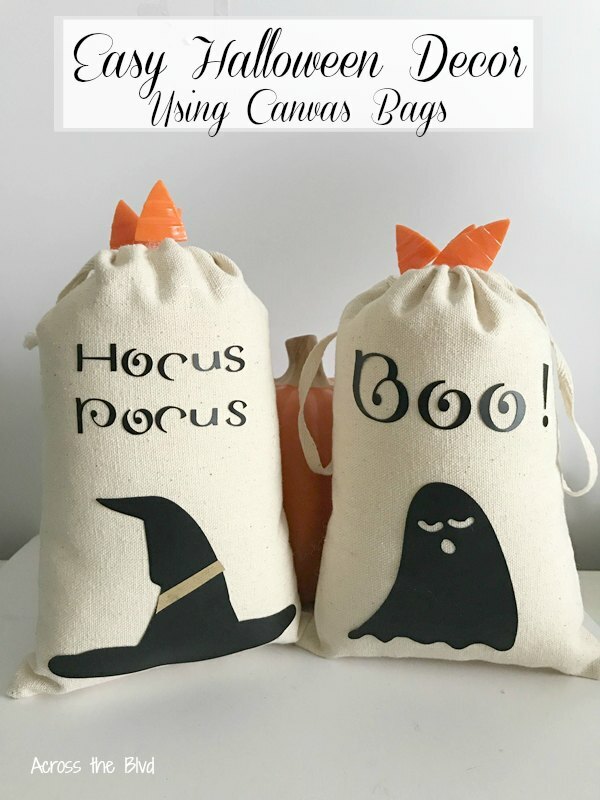 I love this time of year - so many creative fall and Halloween posts to look at. I have pinned so many projects for next year. Maybe I should start now so I can have them ready for next year. Keep your great projects coming. Welcome to our party! Oh, the creativity that came to our party last week. 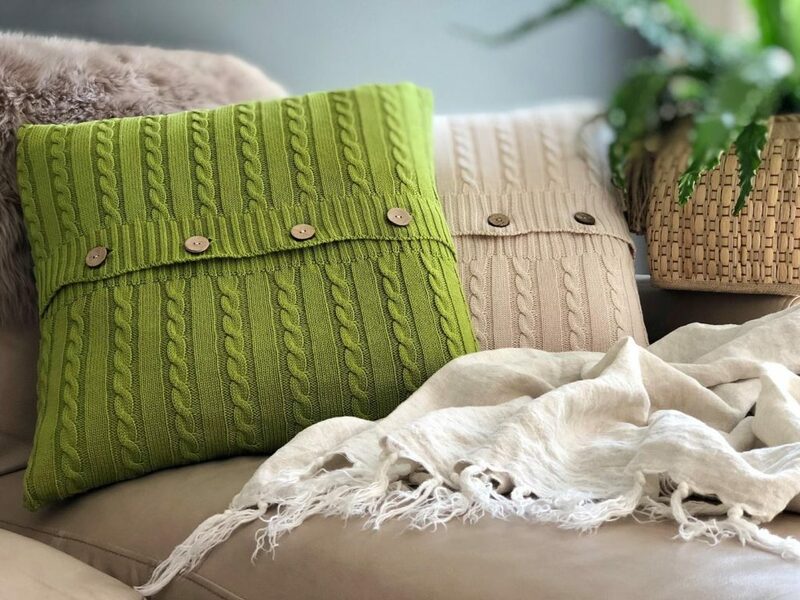 We are thrilled with the quality and variety of crafts, home decor, recipes and more. You are amazing! You're The Star Linky party! Happy Monday morning. I am so glad that you are starting your day here at our party. 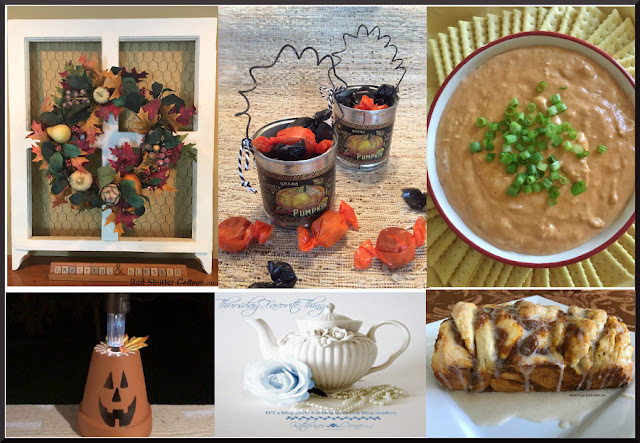 We have so many fall ideas, creative food ideas and so many Halloween ideas for you to check out. 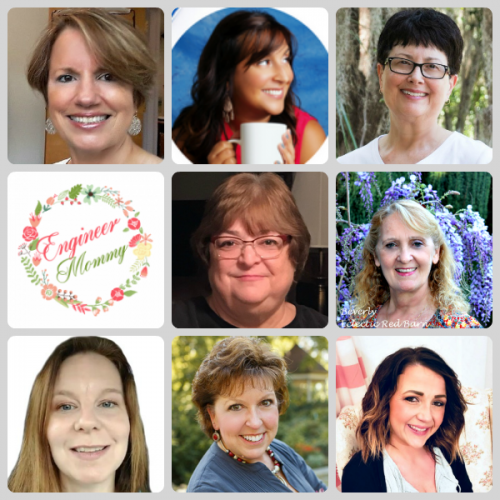 Don't forget to share your post and then show some love to some other bloggers. I hope your days are going well. I can hardly believe that it is almost the middle of October. Time is certainly flying by. I did manage to get the house decorated for Halloween, which was good since the temps climbed back up this weekend. Hey Everyone, It’s still my month woohoo. If you are joining from a blog other than mine I am Linda from A Labour of Life. And I am so happy I live in a World that has October’s. I will be hosting all this month and that puts a full Pumpkin Smile on my face. As I said last week, October is Fall and Canadian Thanksgiving and Halloween and did I mention Pumpkin Spice? This week I selected a little bit of Fall and a lead into Halloween, some food, a drink a craft and even an awesome party. Enjoy and please let’s see what amazing Fall and Halloween ideas you have for Happiness is Homemade. I am so excited that you are here. The weather is a little cooler, only around 86. That sounds rather funny but it has made a difference. I started to decorate for fall and Halloween. I have had so much inspiration from all of your posts. 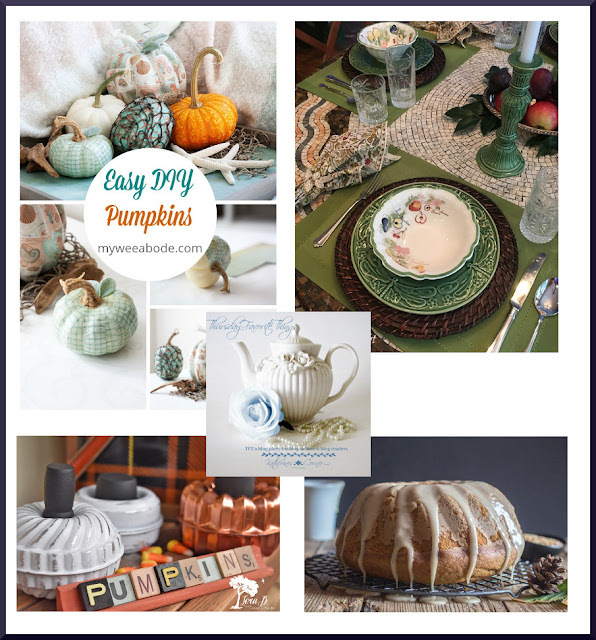 Wow, you are amazing - the DIYs, crafts, and creative fall recipes. I am in love with all of them. 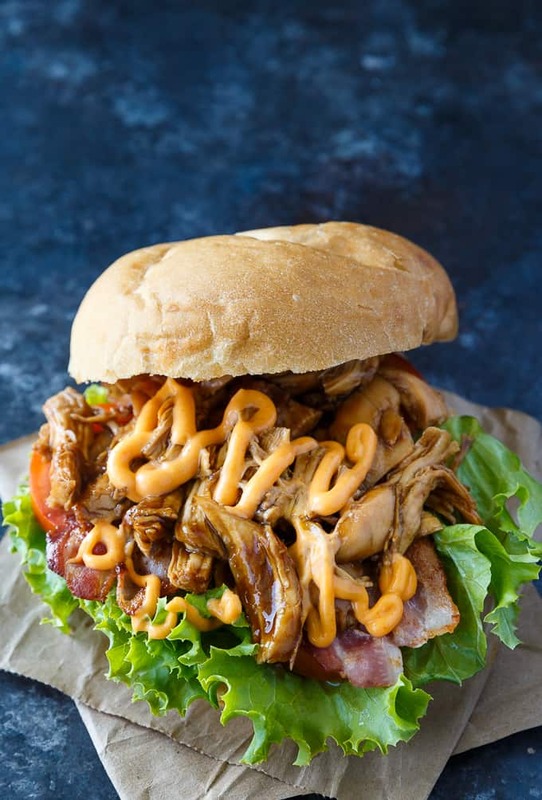 Check out some of the ones that are being featured. Welcome to our party! So what awesome fall projects have you been up to? 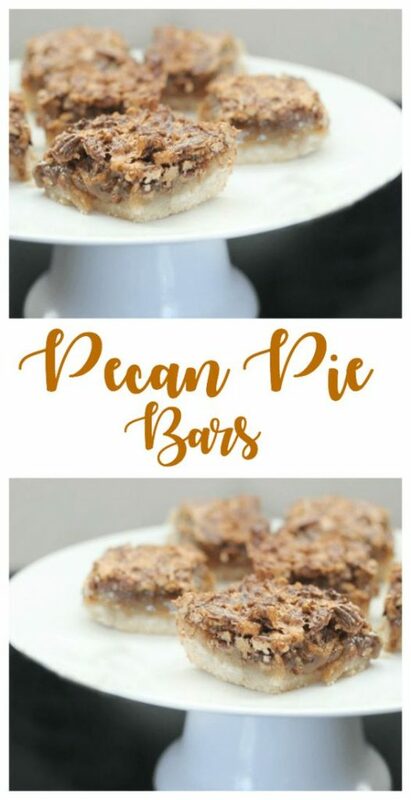 Share your recipes, crafts, home decor and more! But, first, let's take a look at what our guests viewed most last week! Please leave your linkup number or post title so I can comment and you might be one of my feature picks next week. Did you have a chance to enter the giveaway? Only one more week to enter. You could be a winner of this fabulous prize. It's time for a new giveaway! 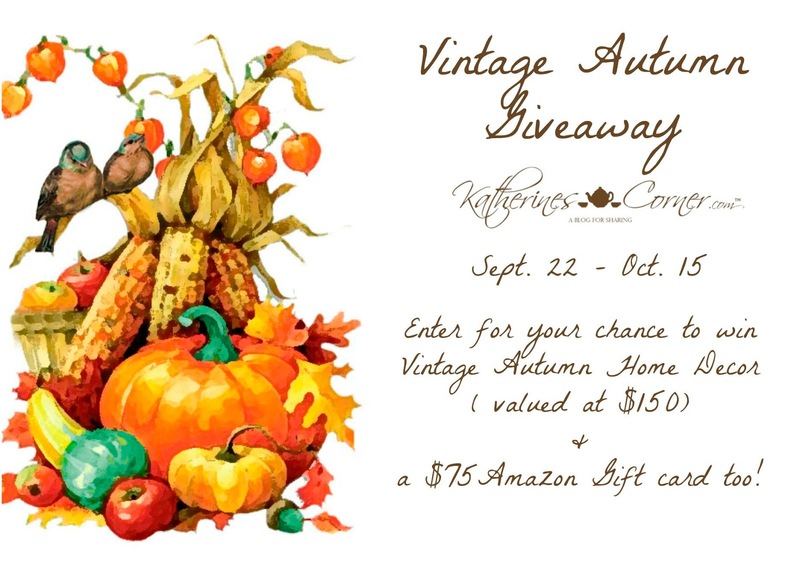 I'm joining Katherine, her giveaway sponsor La Bella Vita Cucina and some of Katherine's blogger friends to bring you the Vintage Autumn Giveaway! Welcome to You're The Star Party! Happy Monday Everyone! I am back from Vermont. The weather was cool and when I got home the weather was cooler here too, so I am ready to do some fall decorating. We have a new party hostess for the month of October. I will let Linda introduce herself. Don't forget to add your link up number or post title in your comments so I can stop by your post. Hey Everyone, It's my month woohoo. If you are joining from a blog other than mine I am Linda from A Labour of Life. And I am so happy I live in a World that has October's. I will be hosting all this month and that puts a full Pumpkin Smile on my face. October is Fall and Canadian Thanksgiving and Halloween and did I mention Pumpkin Spice? Normally my first October post would be full of Thanksgiving ideas but hello, guess what today is Thanksgiving. Too late for turkey recipes but not to late for everything else fall inspired. This week I selected a little bit of everything Fall, some food, a drink, a craft and even an awesome table. Enjoy and please let's see what amazing Fall and Halloween ideas you have for Happiness is Homemade. Now let's get to the Fall Fun and see this week's features for Happiness is Homemade! 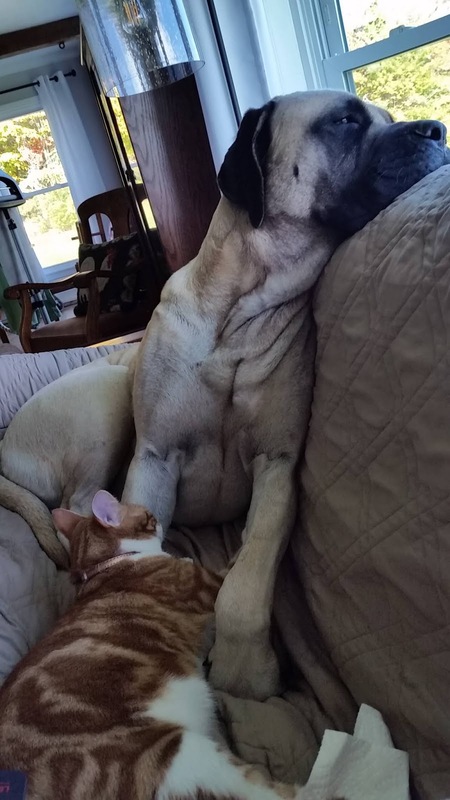 English Mastiff is not thrilled with pesky cat. It is early morning and the grand kids are sleeping so I thought I would try to get some computer work done. My son has two English Mastiffs and Buttercup wanted to lay on the couch next to me. That was fine, but their cat named Padfoot (he has 6 toes on his front paw) decided he wanted to be on the couch too. 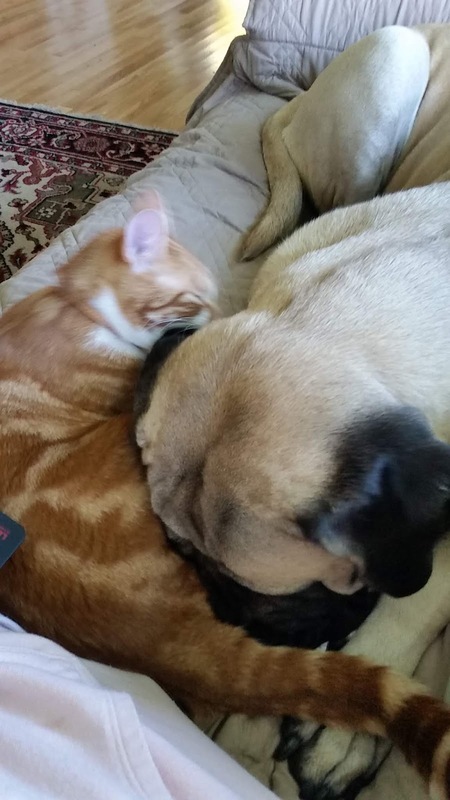 The only problem was that Buttercup likes to spread out and Padfoot wanted to groom him. So he stars by licking his ears. The last couple of days have been crazy and I forgot it was Thursday until 6 o'clock this morning. My grandson came home from school early on Tuesday and then again on Wednesday. It wasn't until yesterday that He told me he had taken a slapshot to the head in hockey practice. He is a goalie. He didn't think too much about it until the headaches started and dizziness. So off to the doctors and sure enough he has a concussion. No screen time for him. Do you know how hard that is for a 13 year old? But I must admit, he did fine. They want him to try a half day again today and then they are off Friday, so that should help. No hockey games this weekend. With kids, it is always something. Here it is October, and I keep wondering how did we get here? This year has gone so fast and especially the summer. It certainly feels like fall here in Vermont. The weather is cool, the trees are turning and pumpkins are everywhere. 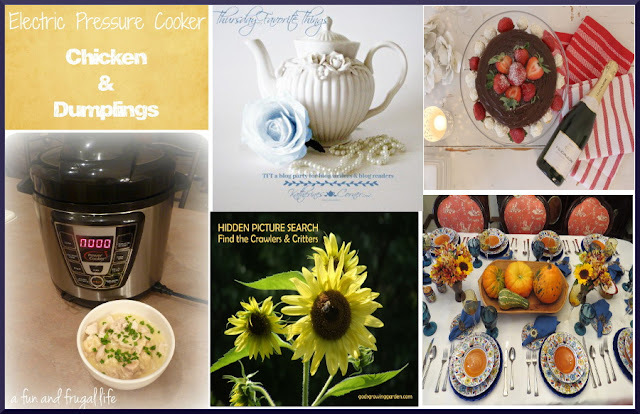 Welcome to the Wonderful Wednesday Blog Hop, hosted every week on 9 popular blogs! As you will see by our features, we had some amazing shares last week. Keep up the good work promoting this party and boosting each others' posts. You are doing such a great job ♥ Let's everybody tweet the party at least once this week, OK? Garden Feature Week at You're The Star!